Mohammad Zamal Uddin (Russell) is one those young entrepreneurs who have been rendering crucial role in flourishing country’s industry and commerce. 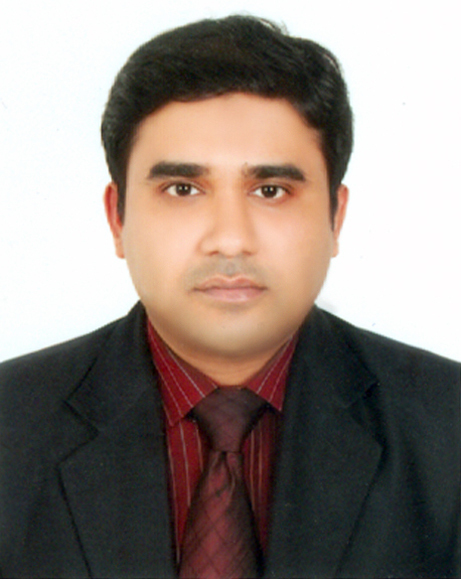 He is an enlightened director of Hamdard Laboratories (Waqf) Bangladesh. He had been highly meritorious since his childhood. He obtained his SSC from the Government Laboratory High School and had his HSC from Dhaka Commerce College. Later he went to Australia for higher education. He obtained Bachelor of Commerce degree from Deakin University in Melbourne. His major was Accounting & E-commerce. He obtained MBA from University of Canberra, Australia and his major was Economics. He has also studied Diploma of Unani Medicine & Surgery. With his merit and planned initiative Hamdard’s new effective planning and developments are taking place. A good number of planning have been undertaken to produce good quality medicine and products in order to accelerate services for the mankind. These include establishment of Hamdard Medicine factories as per WHO GMP Standard. Moreover, Hamdard consumer goods production has been strengthened in order to give healthy and quality products to the people. Due to meritorious and planned initiatives Hamdard treatment, healthcare, education and human welfare activates are multiplied manifold. He has undertaken a development planning in order to spread Hamdard products. in order to meet the demand of the customers. To attend and took part in the International Business Fairs, Seminars & Exhibition he has traveled to Austria, Australia, Belgium, China, UAE, Finland, France, Germany, Hong Kong, India, Italy, Vatican City, Japan, Malaysia, Netherlands, Singapore, South Korea, Sweden, Switzerland, Thailand, Uzbekistan, United Kingdom and Turkey. He is highly skilled and has good organizing abilities. He was president of Bangladesh student’s Association when he had been studying at Deakin University, Melbourne. He has a great knack for creative writing. He has publication on Unani system of Medicine. He has acquired profound knowledge on Accounting, Database Management, Economics & Finance. He has been working relentlessly for the development of Women education. He is a member of the advisory board of Choupalli Joytara Girls High School and member of the executive council of Ayesha (R.)Mohila Kamil Madrasha, Lakshmipur. He is also a Executive Member of Uttar Joypur Union Foundation it’s a charity foundation for development of the rural place and education.